Akshaya Patra's Annual Report 2013-14, 'The Fab Five Superheroes' has won the Silver award at the 2015 International ARC Awards under the 'Foundation' category of Non-Traditional Annual Reports. The organisation has also been declared a Grand Award Winner in the Best of International category (Mid-East/India). 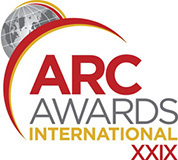 The ARC Awards this year saw 2,065 entries from 35 countries. Established in 1987 by MerComm Inc., the ARC Awards is the world's largest international competition honouring outstanding achievements in annual reports. Every year, thousands of entrants sign up for the competition where the annual reports are judged based on the presentation of the organisation's story, creativity in expressing the contents, effectiveness and clarity of thought. Aspects like cover and internal design, presentation of information, representation of financial data, clarity of writing and how clearly the ethos of the organistion is expressed are some key elements for the judging procedure. The Foundation also consecutively received the Gold Award in 2013 and 2014 for its annual reports.